Katy Perry and DeRay McKesson sat down to discuss cultural appropriation. 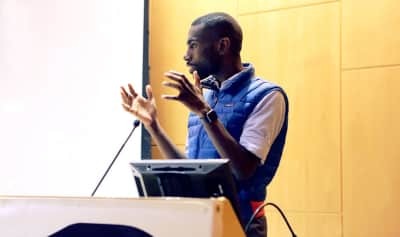 DeRay McKesson gave a keynote speech at Brooklyn Hip-Hop Festival's Hip Hop Institute. Read his speech in full. 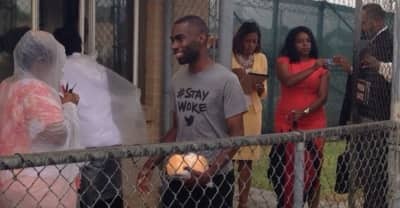 DeRay Mckesson was released from East Baton Rouge Parish Jail around 3:30 p.m. after being held for about 17 hours. Police arrested him while he was protesting the death of Alton Sterling. 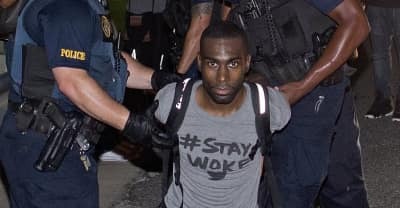 Black Lives Matter activist DeRay Mckesson was arrested in Baton Rouge, LA while protesting the death of Alton Sterling. Twitter users have been using the hashtag #FreeDeray. 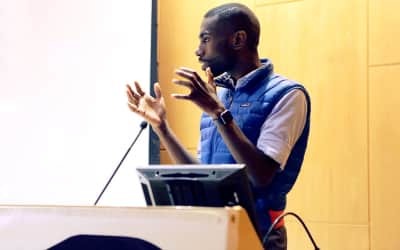 Black Lives Matter activist DeRay Mckesson is running for mayor of Baltimore. Following the Charleston shooting, Deray McKesson's supporters had some choice words about the #GoHomeDeray hashtag that trended last night.